Our goal is to achieve the highest standard for our training pilots. We can provide tailor made training and follow our customers’ procedures if there are any special wishes or requirements. Nevertheless we always make sure that we never step away from safety and authority regulations and requirements. 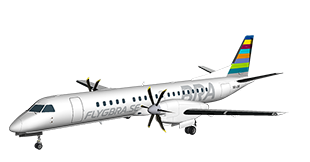 Every 8 seconds, an ATR turboprop takes off or lands somewhere around the world, do you want to land the next one? 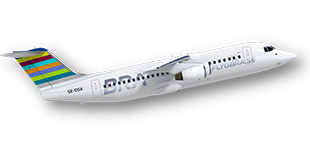 Known for its small noise footprint and advantages on short runways, the Avro RJ / BAe 146 is a popular regional jet on the European market. 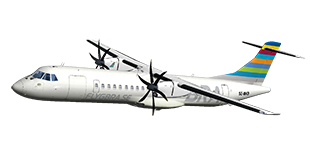 Do you want to fly the fastest commercial turboprop on the market? Let us help you with the training. 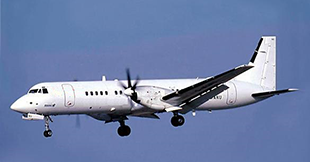 Used for both passenger transport and cargo operations, the ATP is a well-known bird in the Scandinavian airspace. 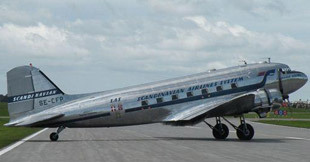 With roots back in 1930s, this aircraft is still operating around the world. May we help you with the training? 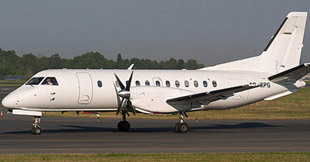 This Swedish commuter aircraft are nowadays used both for passenger and cargo operations.